“Books are like puzzles,” write Lawrence and Nancy Goldstone. 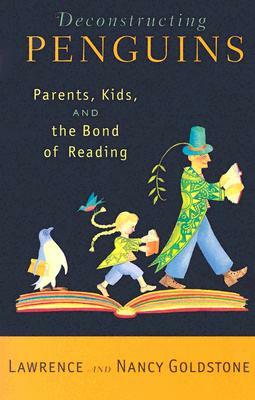 “The author’s ideas are hidden, and it is up to all of us to figure them out.” In this indispensable reading companion, the Goldstones–noted parent-child book club experts–encourage grownups and young readers alike to adopt an approach that will unlock the magic and power of reading. Lawrence Goldstone is the author or co-author of more than a dozen books of fiction and nonfiction, including Birdmen: The Wright Brothers, Glenn Curtiss, and the Battle to Control the Skies. One of his novels won a New American Writing Award; another was a New York Times notable mystery. His work has been profiled in The New York Times, the Toronto Star, Salon, and Slate, among others. He lives on Long Island with his wife, Nancy. –Sally G. Reed, executive director, Friends of Libraries U.S.A.